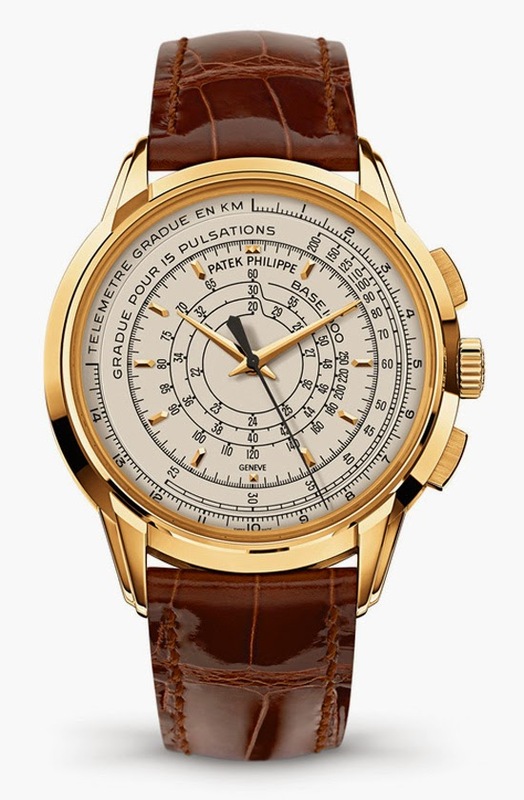 One of the special models created to commemorate Patek Philippe's 175th anniversary, the new Multi-Scale Chronograph Reference 5975 is endowed with three logarithmic scales that can be used to compute speeds, distances, and heartbeats per minute. 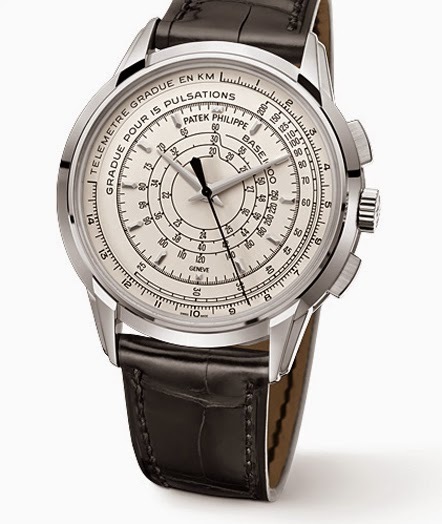 The dial - silvery gray in the gold models or black for platinum - features three concentric scales which define the functions of this chronograph but there are no counters to record measurements this Multi-Scale Chronograph is conceived as an instrument to measure pulses, distances, and speeds in a sixty seconds timeframe. Out heart rate can be measured by counting the number of pulses per minute. 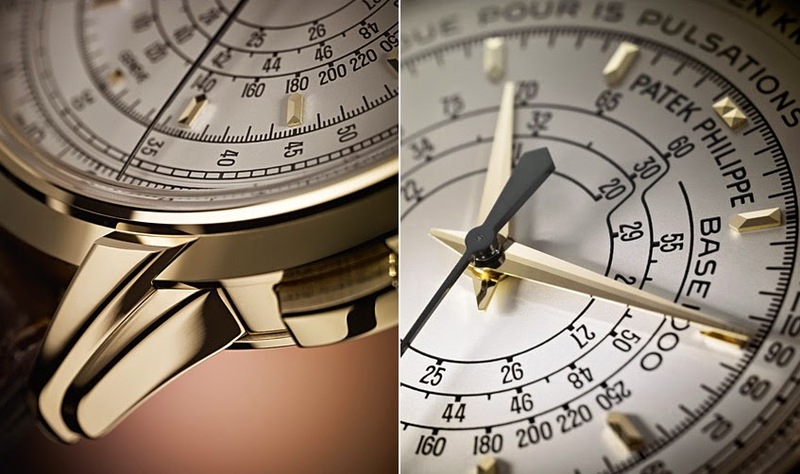 To accelerate such measurements without having to wait for an entire minute while counting, the Multi-Scale Chronograph has a pulsimeter scale calibrated to 15 heartbeats (GRADUE POUR 15 PULSATIONS). If the Multi-Scale Chronograph is started when the first pulse is felt and stopped on the fifteenth, the pulsimeter scale displays the number of pulses per minute without having to make calculations. The tachymeter scale is calibrated to 1000 meters and can be used to measures the time needed to travel over a known distance. 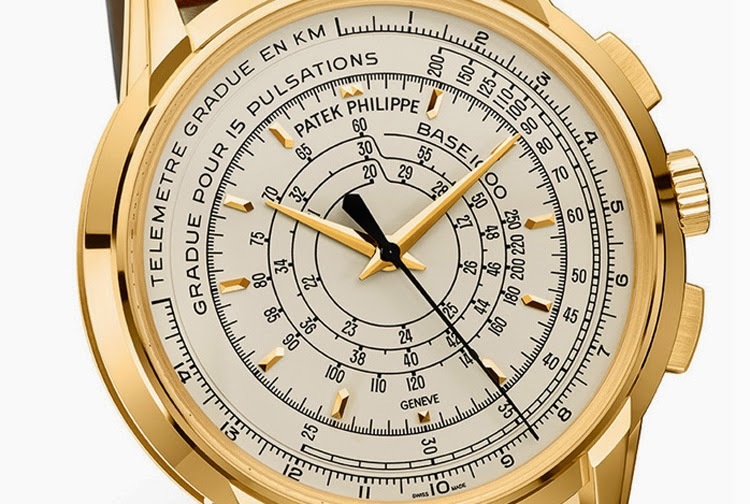 Finally, the Multi-Scale Chronograph features a telemeter scale with kilometer graduations to calculate the distance of an event (lighting, for example) based on the time interval from when the lightning is seen to when the sound is heard. 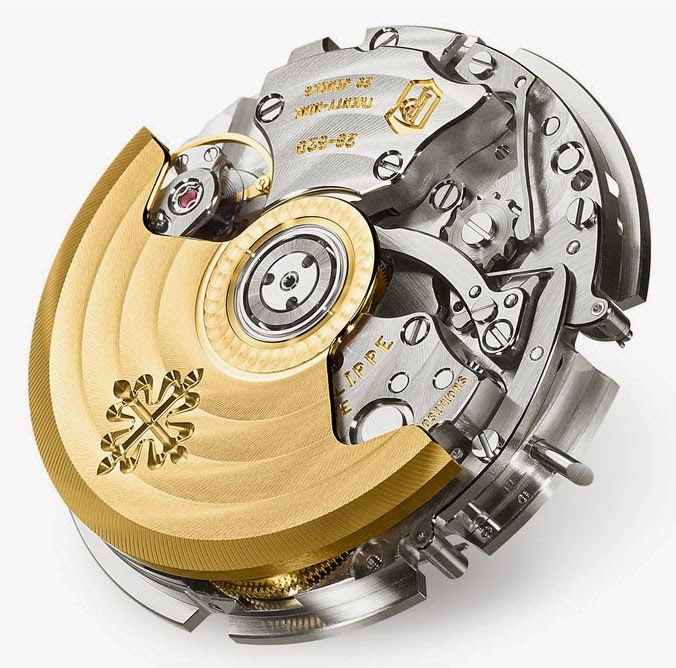 The calibre CH 28-520 movement, beating at 21,600 vibrations per hour and offering a minimum of 50 hours of power reserve, was developed explicitly for this watch. It is a self-winding movement with a classic column wheel for controlling the start/stop functions and a nearly friction-free disk clutch that allows the sweep chronograph hand to be used as a permanently running seconds hand. The rate accuracy of the new movement is remarkable as if will not vary by more than -3 to +2 seconds per day. Such a high accuracy is essential to guarantee the precision of the results displayed by the pulsimeter, tachymeter, and telemeter scales. The elegant 40 mm case has tiered lugs invisibly screwed to the caseband and bezel, making it possible to disassemble the case to facilitate the finishing processes as well as service interventions. 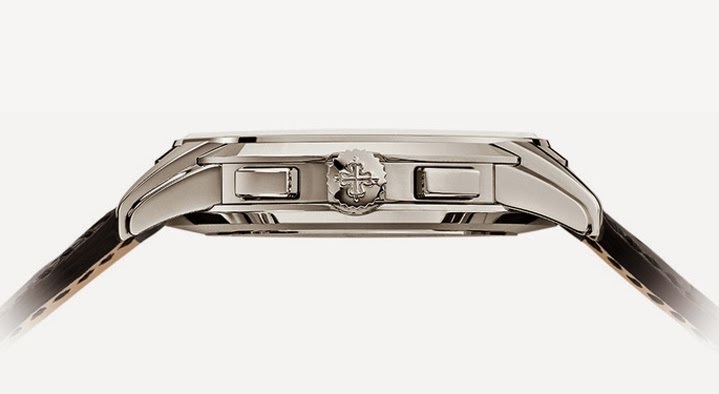 The 2-position crown winds the watch when pushed in and sets the time when pulled out. 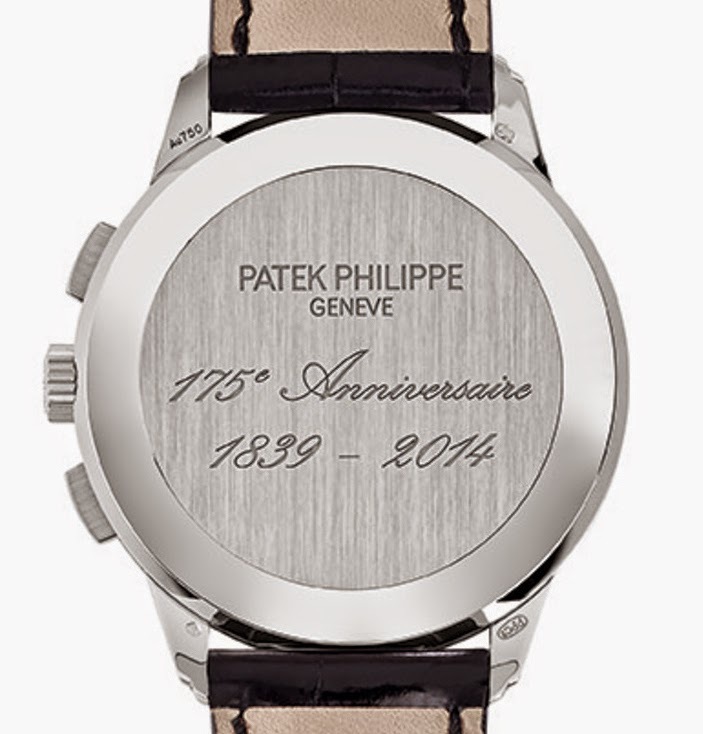 The solid back case displays the engraving "PATEK PHILIPPE GENEVE 175e Anniversaire 1839 - 2014". The Ref. 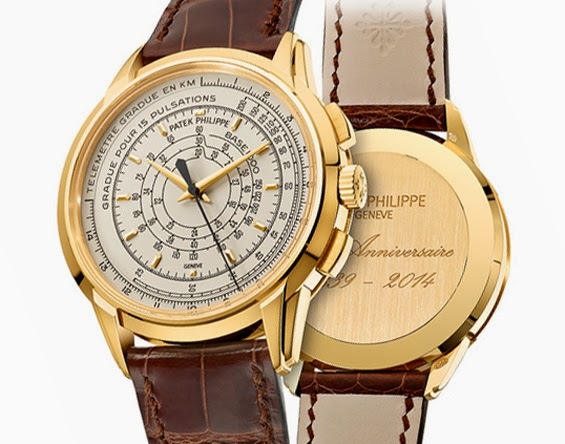 5975 for men will be presented in a limited edition of 400 watches each in 18K yellow, white, and rose gold with a retail price of Swiss Francs 55,000 as well as 100 versions in platinum with a retail price of Swiss Francs 78,000. 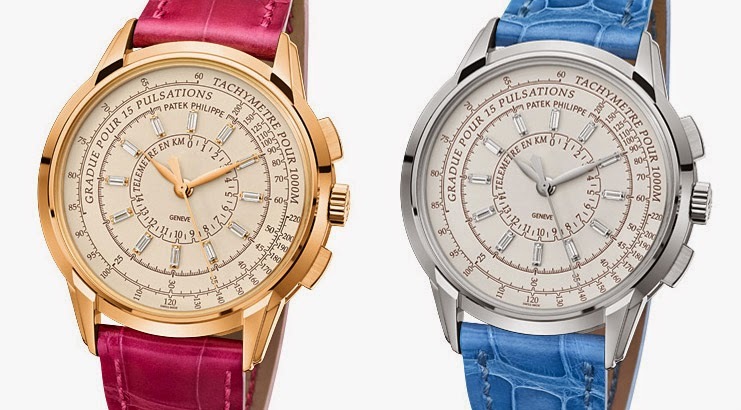 Patek Philippe will also release ladies' versions (ref. 4675) with baguette diamond hour markers and a 37 mm case which will be limited to 150 watches each in white and rose gold. 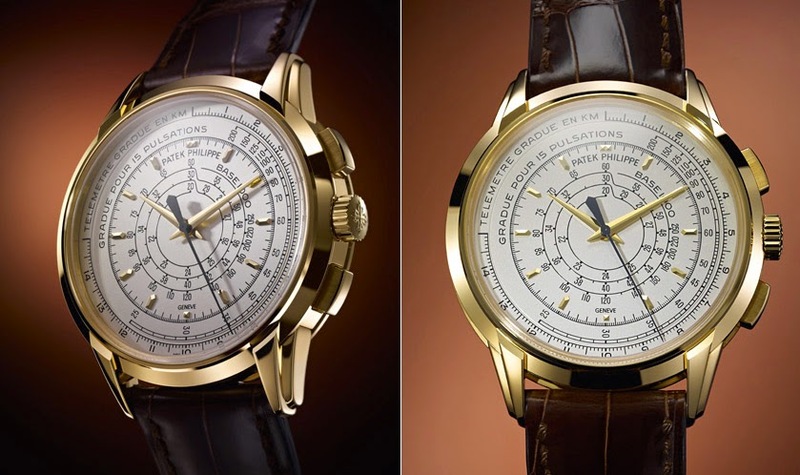 While the men's models have the telemeter, pulsimeter, and tachymeter scales arranged from the outside to the inside, the order is reversed for the ladies' models. 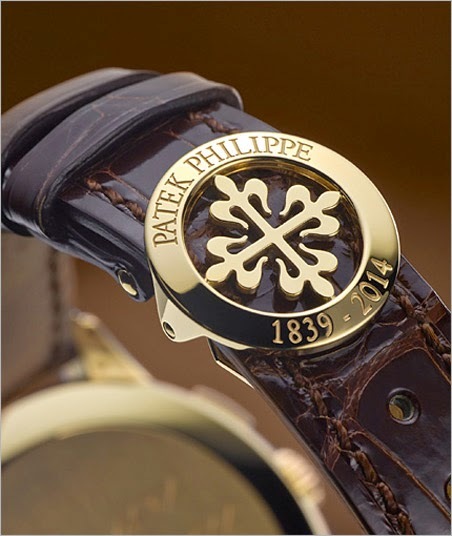 All Multi-Scale Chronographs are worn on hand-stitched alligator straps secured with fold-over clasps in gold to match the case, with the engraving "PATEK PHILIPPE 1839 - 2014". 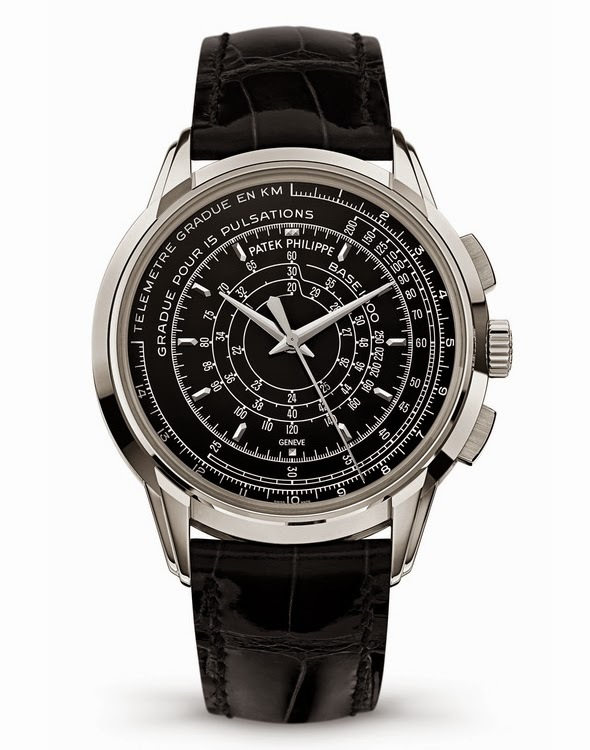 A special model created to commemorate Patek Philippe's 175th anniversary, the new Multi-Scale Chronograph Reference 5975 is endowed with three logarithmic scales that can be used to compute speeds, distances, and heartbeats per minute.